Welcome to our school website. Our school, Orchard Fields Community School, is situated in Banbury, North Oxfordshire. We are very proud of our school and are very much at the heart of the local community. Our children, staff and parents are very welcoming to all visitors. We are a caring community and enjoy sharing our learning experiences with other schools locally. We are very pleased that our Early Years classes (Nursery and Reception) have been judged outstanding following an inspection in February of this year following on from a previous Outstanding review in October of last year. Please click here to read the report. The children are enjoying the many activities and learning opportunities planned for this term. At Orchard Fields we believe that all children have the right to the best possible education and we strive to ensure all of our pupils become the very best that they can be. We have high expectations of all pupils. As Headteacher; I passionately believe in all children reaching their full potential in all areas of the curriculum. For me a child’s time here is the springboard for their future successes and lifetime chances and aspirations. I look forward to welcoming you and your children in school. We offer an Early Bird’s Breakfast Club (term time only). The Early Bird’s Breakfast Club is run by our staff from 7.30am to 8.45am. The cost to attend the Early Bird’s Breakfast Club ranges from £1.00 to £2.00 per session depending on what time your child starts. If you would like your child/ren to attend the Early Bird’s Breakfast Club please collect an agreement and booking form from the school office. We offer after school wrap around care called The Orchard which runs from 3.15pm to 6.00pm and includes a snack. The price is £7.50 per child per session and we ask that payment is made a week in advance of any sessions taken. Looking for a Nursery place for your 3 year old? In Nursery, we provide an engaging, stimulating and nurturing environment for your child to develop their full potential in readiness for their move into Reception. Our children experience a wide variety of activities to support all their learning and emotional needs with the support of a caring teacher led staff. Staff will be available to discuss any questions or requirements you may have. Why not come along to our Nursery Stay and Play session on Thursday 9th May from 10.00am - 11.00am to see our learning in action. 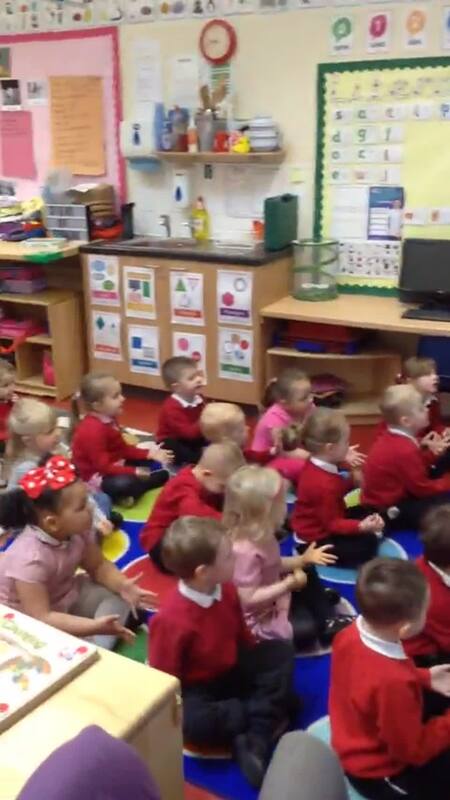 Children in Nursery have been learning the days of the week and numbers up to 10. We hope you enjoy watching this video.